Meet Bulgaria in its Diversity! Join the magical world of Nestinari – these who dance in fire! 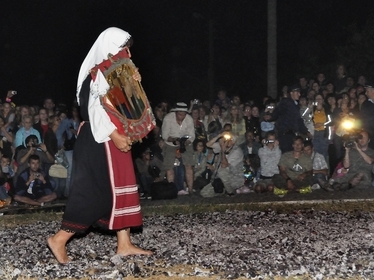 The old ritual Nestinarstvo is saved in Bulgarian folklore for more than two thousand years. It’s a sacral dance on fire of people who were initiated in this and while they are dancing they fall into kind of trance, talking strange things, usually predictions. 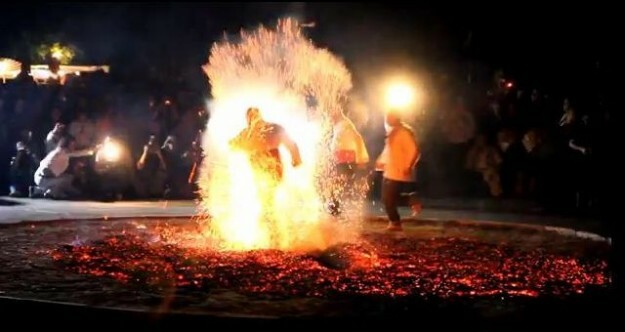 The most interesting thing is that after the dance which sometimes lasts up to hour, there are no signs of burning on feet of dancers (who are called Nestinari). The origins of this ritual are in the further past related with our precursors Thrakian tribes and their cult to the sun, and also maybe with Roman Dionysian celebrations. This fact tells us that originally it’s a pagan ritual, but nowadays the dancers Nestinari are dancing with orthodox icons in their hands. This is because for many years Nestinari ritual was condemned and persecuted by the church, and people who practice it started to dedicate it to Constantin the Great who was proclaimed a saint by the church. So today Nestinari holds the icons of the roman emperor and his mother Elena who are their patrons. In ancient times just Thrakian kings had the right to perform the ritual of dancing in fire, because they were also the greatest priests of their tribes and only they could be in touch with gods. It was believed that fire is the gate between the two worlds of people and gods. 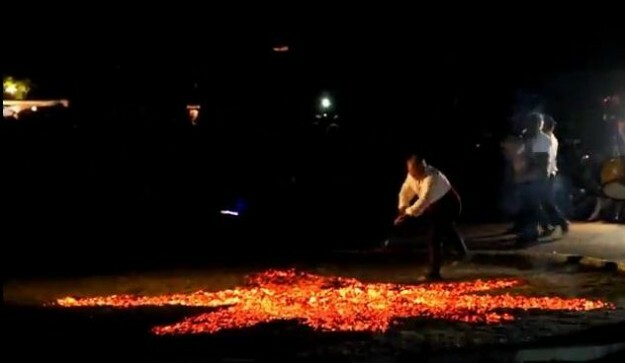 Today this ritual is traditionally preserved in his natural form just In the south- eastern Bulgarian town Bulgari. The best chance to see it is on 3 June. It’s such a big attraction and a lot of people comes here on this day every year. People in that town says that nobody can just learn how to become a Nestinar, it’s a gift that you are born with and a family legacy. If you want to be part of this amazing event or want some other kind of journey here in Bulgaria just text me in my FB profile and I’ll arrange personal tour in the manner that you prefer! ‘’Rose festival’’ in Bulgaria. Traditions, beauty, fine flavors and many more in 2 wonderful weekends. Find out why cycling is the best way of travelling for spring season (and not only) and come to experience it in Bulgaria! Celebrating March in Bulgaria. A pagan tradition allowed by the church!